Here lately, the weather has been super nice, which has meant lots of outdoor time for me. 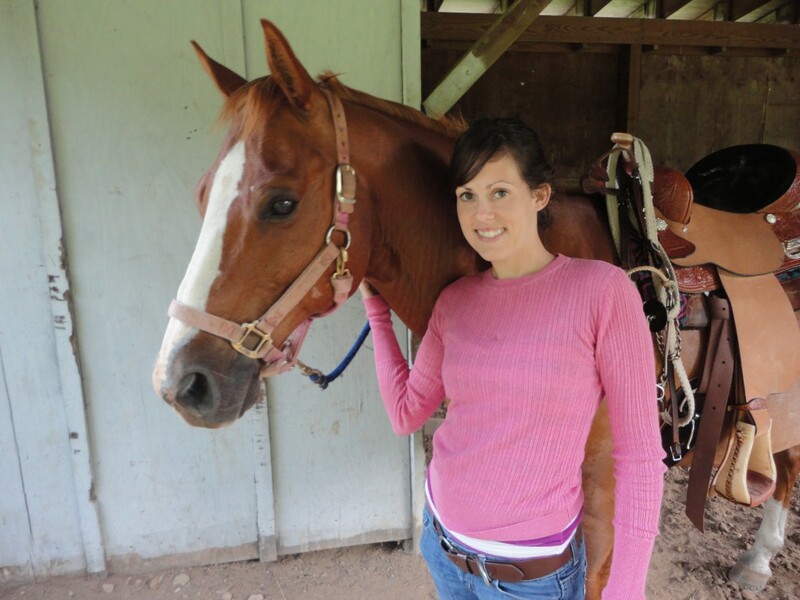 I’m finally starting to get back into a riding routine with Gracie and Rumor. I’ve even fit in a few trail rides too. This year I’m planning to spend lots of time in the saddle riding. I’ve already got 1 camping trip planned per month through June and will possible hit up a few barrel shows. Now that I am riding more, I’m trying to get the girls to shed out as quickly as possible. I gave them Nu-Image Supplement in March, but that didn’t seem to help like it has in the past. They had shiny coats but they weren’t shedding. I tried using my shedding blade but it didn’t seem to help as much as I wanted it too. I want hair coming out in clumps but with the blade it was just getting a little bit out at a time. Maybe it’s still too early for them to shed out like I want them too. Since it wasn’t happening like I normally like for it too, I decided to resort to a new tactic. I was scrolling through Instagram one day and came across a post by Horses & Heels. Raquel was showing off a grooming mitt she had bought. After reaching out to her with a few questions about it, I decided to buy one myself off of Amazon. Y’all, this mitt is AWESOME! It has become my favorite thing to use. I put one on each hand and start currying away. It’s great at removing the loose hair and I swear it even works as a massage tool. Every time I groom any of my horses with these, they start yawning and licking as if they were getting a massage. I love that all the hair tends to stay in the bristles on the mitt and don’t go all over me. I haven’t had any issue with static electricity either. They truly have made currying my horses so much easier and more fun. I love being able to use both hands and not have to switch a curry comb. I also love that they aren’t stiff which makes them easy to use in the curves of their body and on their legs. Getting the hair out is easy as well. Just slap your hands together and the hair will get loose enough you can easily pull it off in one big clump. I’m not sure my rubber curry will ever be used again. I swear I just love these gloves. 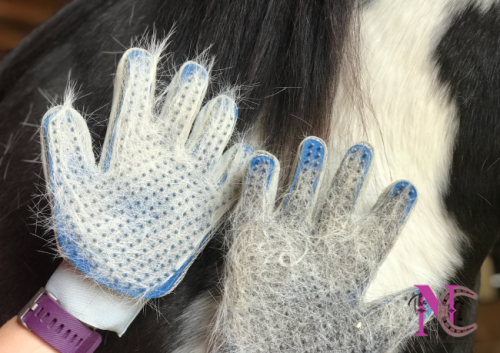 Have you tried shedding gloves before? What are your likes or dislikes with them? Yay for new grooming gloves! Aren’t they the best? I love that you don’t get dirt under your nails when your grooming. I hate that feeling when I’m riding, so it keeps my hands clean when I saddle up! I love the gloves. I bought some because of your recommendation. Thanks!